The holidays are here, folks! And whether you’re dashing through the snow, roasting chestnuts on an open fire, or stuffing yourself full of glazed ham and cookies, you’ll more than likely be spending a portion of your time surrounded by family and friends. Now don’t get me wrong, that’s awesome, but what’s a gamer to do when you need your fix and the only screen available rests inside a room packed with people? First, you commandeer that screen. Second, you use your keen detection skills to survey the room, taking a mental inventory of your audience and their known interests and tolerances. Lastly, you choose a game to play that will entertain both you, and with any luck, your guests. For your consideration, here is a list of 5 games you can play over the holiday-break while still hosting family and friends! Let’s be honest, who doesn’t love Legos? They’re creative, adorable, and offer up hours of entertainment while either in building-brick or video game form! Lego Dimensions offers 2 players co-op adventuring through several popular and licensed Lego locations including: Doctor Who, Scooby-Doo, Batman, Portal, The Simpsons, and many more! Not only will folks recognize lovable characters from years past, those who’re engaged with your play-session will also be afforded the chance to participate when it comes to solving the many puzzles that stand in the way between you and progress. Tis the season to be a Star Wars fan! The Force Awakens has hit theaters and Star Wars fans both new and old can’t seem to get enough of what the franchise has to offer this holiday season. 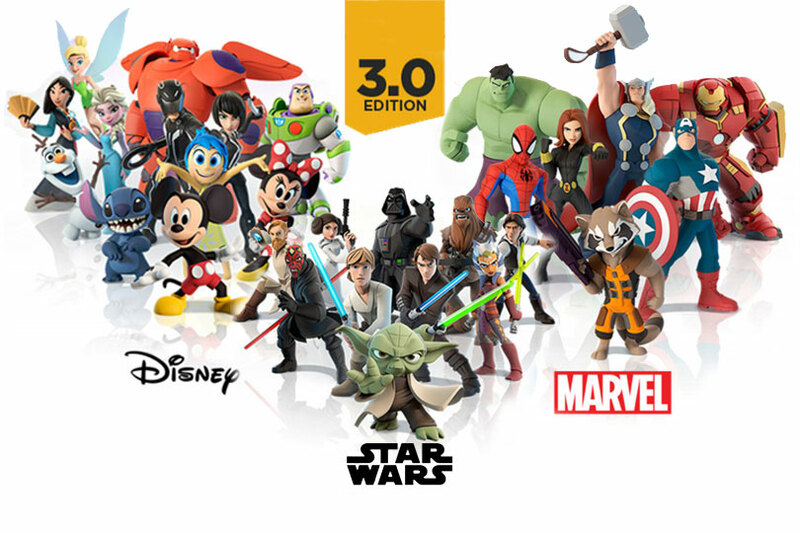 This affords you the opportunity to bust out your copy of Disney Infinity 3.0! This game, once again, offers a 2-player co-op set-up for those looking to invite another person to join in on the fun. While playing, you’ll become even more familiar with the new Star Wars universe. And through the power of Disney, there will be multiple opportunities to create silly situations where popular Disney characters join the fight against The Dark Side of the force. It’s sure to generate a few smiles throughout the room, and the Toybox feature provides hours of creative thinking for everyone involved. Simple, unpredictable, and most definitely a game that any one can pick up and play. 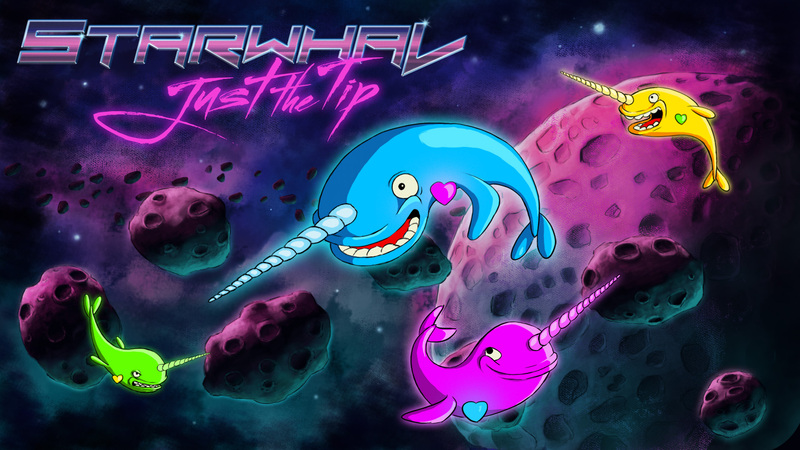 Starwhal allows up to 4 players to battle it out in a fight between fancifully dressed narwhals and the hearts that keep them alive. Here’s the deal: You’re a mighty narwhal, your goal in life, breaking hearts. In-game, you use your customizable tusk in an attempt to pierce the heart of your opponent while navigating around a multitude of terrains – each made more intricate by the punishing physics of navigating a narwhal body. The most important aspect of the game to explain to your guests upon handing them a controller, is that no one is ever particularly adept at playing this game. It’s purpose is to generate raucous laughter and bitter rivalries as the players fight against each other as well as the games insidious design. And since the game requires just one button and a thumbstick to operate, its welcoming and appropriate for people of all ages. Okay, yes, this game will have to be played after all of the kids have gone to bed, but you’ll be hard-pressed to find a game with a stronger narrative or that is more engrossing this holiday season than Until Dawn. Granted it’s for one player only, but in the right hands Until Dawn can be a seamless cinematic experience that those around you can not only enjoy watching, but participate in as well. 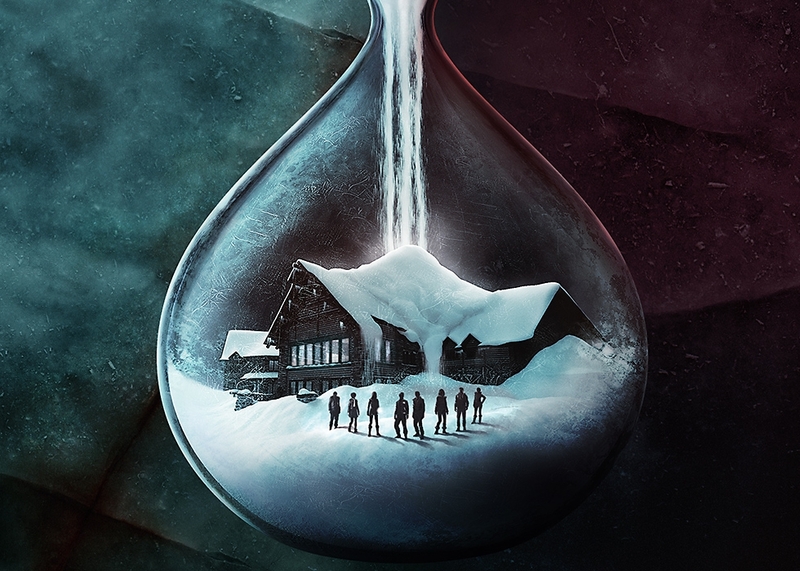 Until Dawn is a choose-your-own-consequences game that blends elements of late 90s slasher flicks with a who-done-it murder mystery. Friends and family – if they’re into this sort of thing – will undoubtedly enjoy participating in the decision making process that will decide the fates of any one of the 8 affluent, undecided youth. The creators of You-Don’t-Know-Jack are at it again with this online-only multi-player trivia game! Using either your tablet or smart phone (hopefully you have a decent-sized screen), up to 100 players can participate in a hilarious gauntlet of games and activities that will test your knowledge while simultaneously showcasing your sense of humor. Create ridiculous pictures on your phone in Drawful, get racy with the fill-in-the-blank word game Word Spud, be the craftiest liar in your group with Fibbage, or choose from several of the additional downloadable activities available beyond that of the original package. 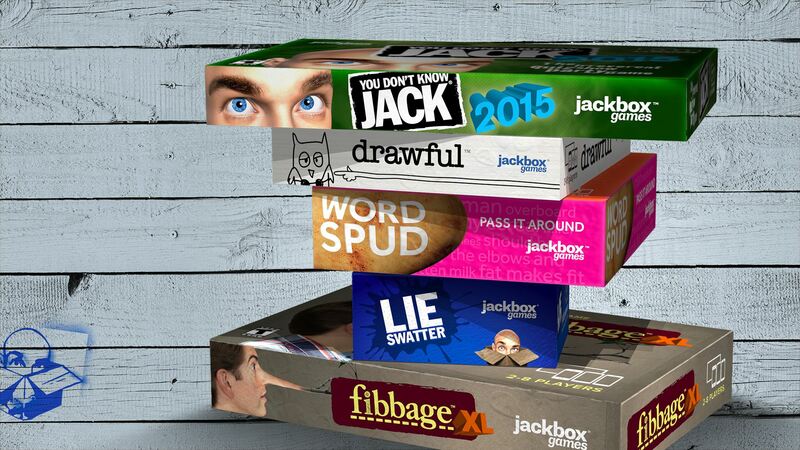 Of any game available, the Jackbox Party Pack is sure to be the hit of your holiday season, I guarantee it! We hope you have an incredible holiday season! Eat, drink, be merry, and game on!